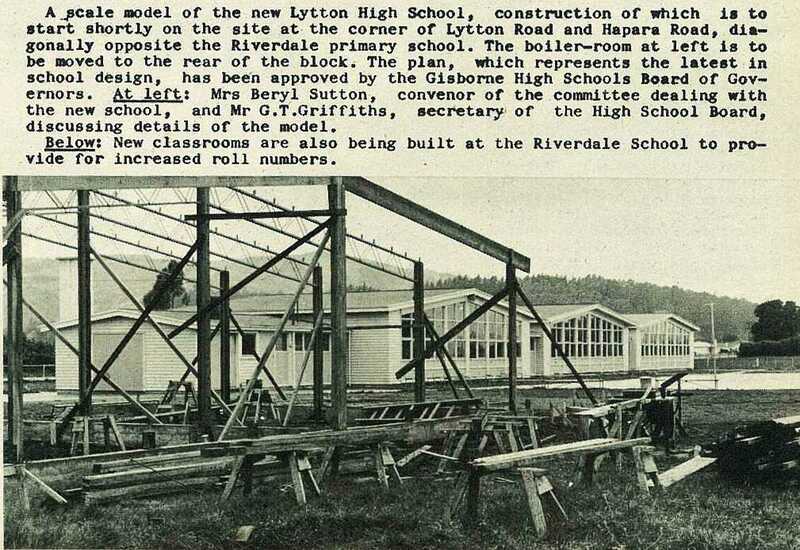 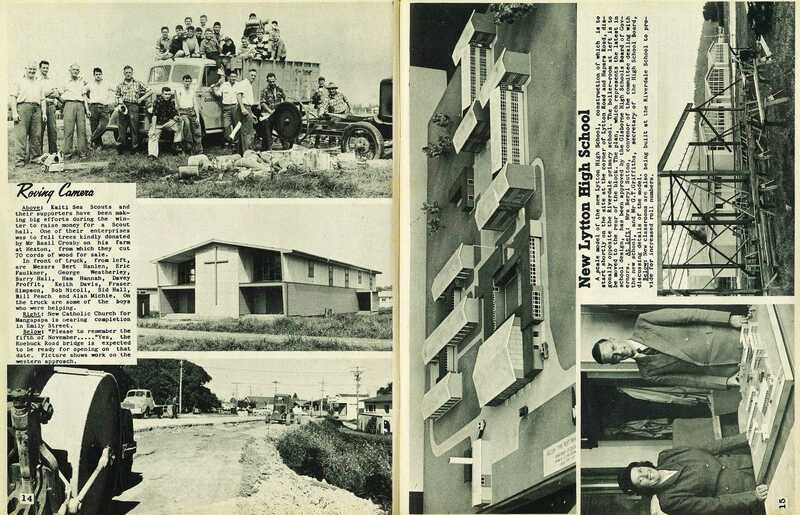 A scale Model of the new Lytton High School, construction of which is to start shortly on the site at the corner of Lytton Road and Hapara Road, diagonally opposite the Riverdale primary school. 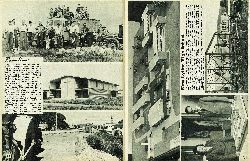 The boiler-room at left is to be moved to the rear of the block. 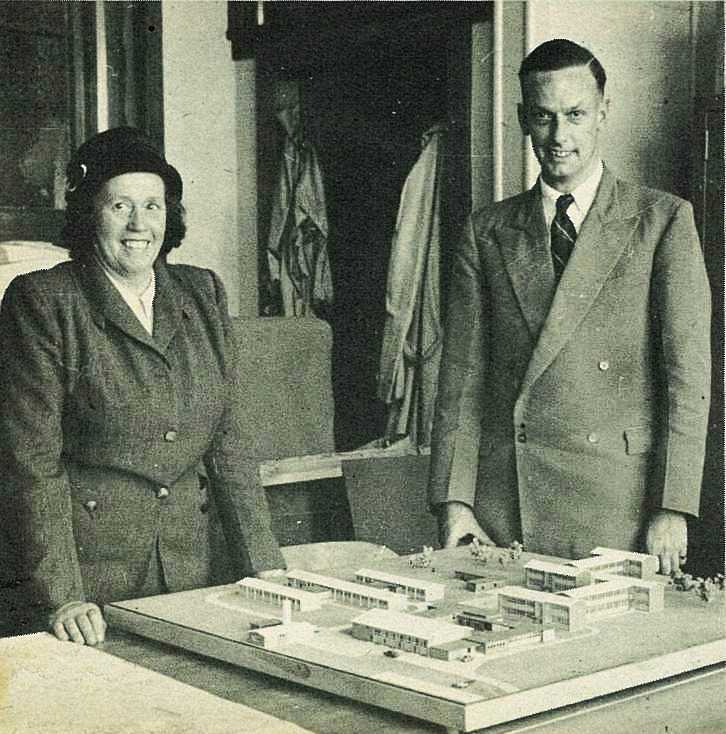 The plan, which represents the latest in school design, has been approved by the Gisborne High Schools Board of Governors. 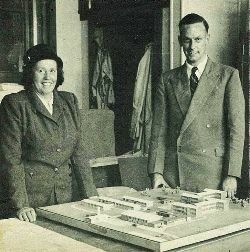 Mrs Beryl Sutton, convenor of the committee dealing with the new school, and Mr G. T. Griffiths, secretary of the High School Board, discussing details of the model. 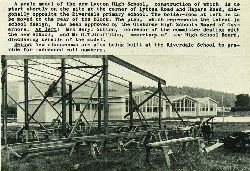 New classrooms are also being built at the Riverdale School to provide for increased roll numbers.